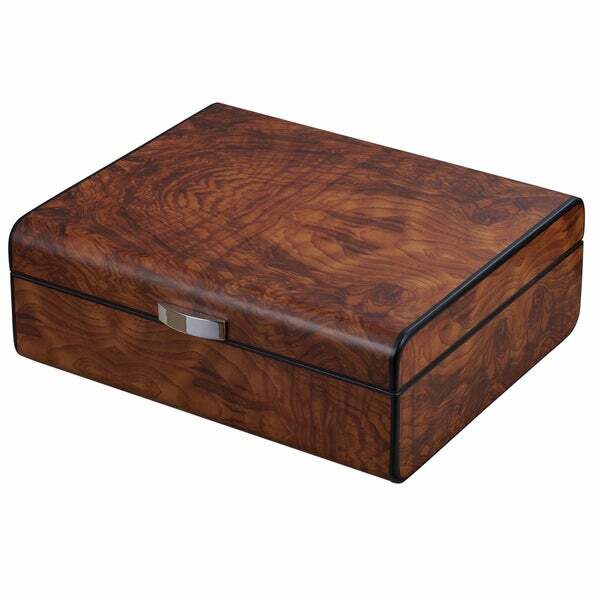 The Widar humidor is dressed in burlwood for a classic appearance that keeps up with any room's decor. The inside features cedar lining to preserve flavors of your treasured cigars, while the humidifier & hygrometer assist in regulating moisture levels. "Can you change the hygrometer to a digital one?" Unfortunately, it only comes with the hygrometer shown.